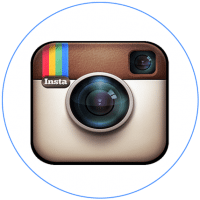 Huge thanks to The Hershey Company for sponsoring this post. As always, all opinions are my own. 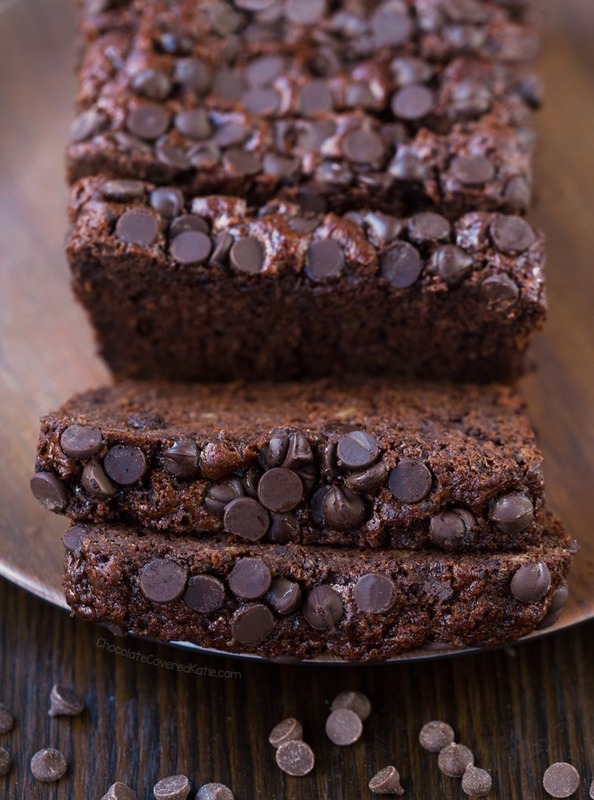 This blackout banana bread is so deeply rich and chocolatey, you’ll seriously feel like you’re eating chocolate cake! 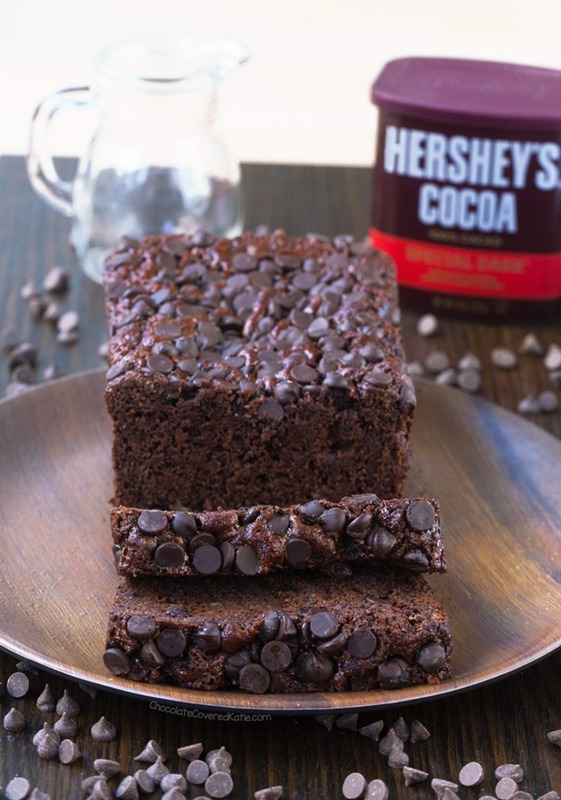 For this ultra dark chocolate banana bread, I got the opportunity to partner with HERSHEY’S Kitchens again to highlight one of my favorite baking “secret weapons” that I’ve loved for years. 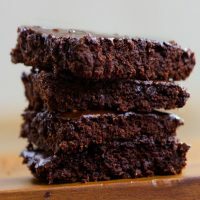 It’s the same baking secret weapon employed in my Dark Chocolate Eclipse Cake, and it has the power to elevate your homemade chocolate brownies, cakes, and baked goods from ordinary to out-of-this-world amazing. 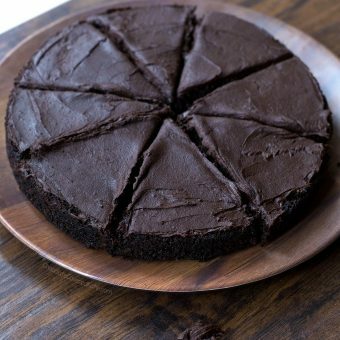 Have you ever tried to make a chocolate dessert from scratch, hoping it would taste reminiscent of your favorite restaurant or bakery treat, only to be disappointed and confused when your results had a flat and somewhat bitter taste instead? 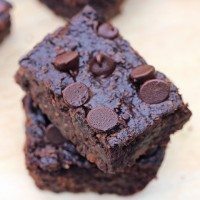 The most likely culprit for this is that many restaurant or commercial chocolate baked goods, such as boxed brownies, cake mixes, and packaged chocolate puddings, will be made with Dutch cocoa as opposed to the more acidic natural cocoa you can more readily find on display at the grocery store. 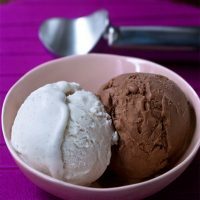 Dutch cocoa, which is still unsweetened just like natural cocoa, has been alkalized to neutralize the cocoa’s acidity, taking away the bitterness of natural cocoa powder. 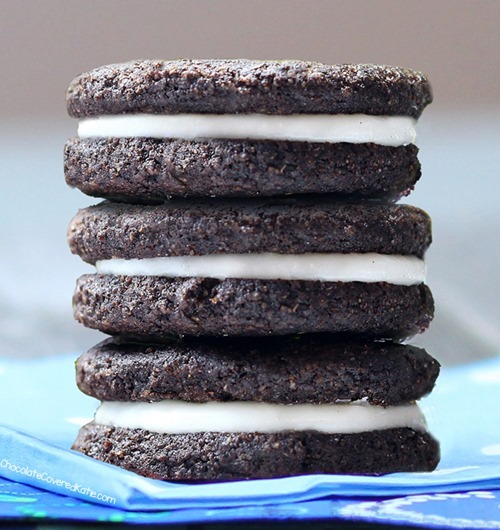 It gives baked goods a darker color and a bolder, richer flavor. I’ve been a fan of the HERSHEY’S SPECIAL DARK Cocoa, which uses a blend of natural and dutch cocoas, ever since one fateful night in college when I was trying to make a chocolate pudding from scratch and couldn’t figure out why it didn’t taste as good as the chocolate pudding that came in a box. So of course I turned to the internet, which is where I learned about the difference between regular natural and Dutch cocoa powders. This extra dark and chocolatey banana bread was made especially for a friend who stayed with me a few weekends ago, because I figured it would be an easy breakfast to make ahead of time and have ready to serve in the morning. 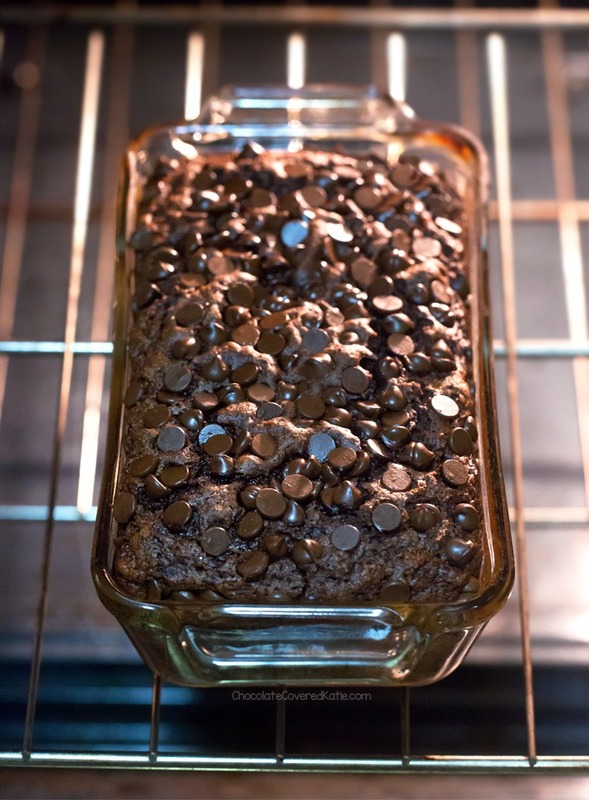 While I do also have a regular Chocolate Banana Bread recipe on the blog, I loved this one even more. 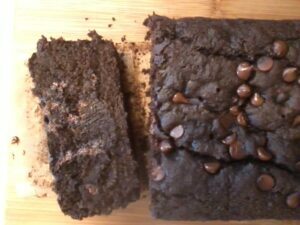 Using the HERSHEY’S SPECIAL DARK Cocoa in the banana bread took it to a whole new level of brownie-like deliciousness! 1. Be sure to use Dutch cocoa here as opposed to natural cocoa. Look for the words “processed with alkali” to be somewhere on the box. 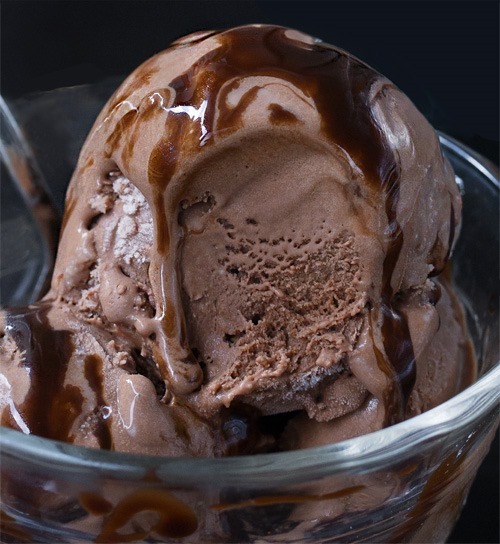 I use and recommend HERSHEY’S SPECIAL DARK, which is available at many regular grocery store chains. 2. You want to use overripe bananas, meaning bananas with skin that’s at least partially brown, because these will be much sweeter and will yield a more robustly flavored banana bread. If you buy bananas and leave them out on the counter, they should start to brown after a few days. Or you can do what I prefer so that I don’t ever have to wait for my bananas to ripen: Buy in bulk, let them brown, and then peel and freeze the ripened bananas. Frozen bananas can easily be thawed and used in banana bread. 3. Baking time can depend on so many factors, including the climate and elevation where you live, the specific ingredients you are using, and whether or not your oven is calibrated. If your banana bread is still not done in the center after the time is up, simply turn the oven back on and continue to bake—checking every five minutes or so—until a toothpick inserted into the center of the bread comes out mostly clean. 4. 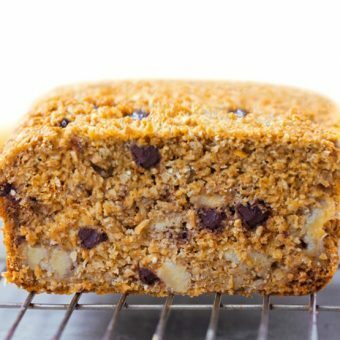 This banana bread is sweeter and has a better texture the day after it is made, so I recommend not serving it or even tasting it until the second day. Leftovers can also be sliced and frozen for up to a month. 5. 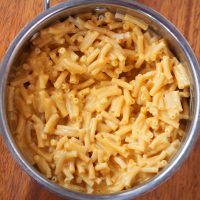 It’s a good idea to check off the ingredients as you add them, as it can be so easy to skip over an ingredient without ever noticing and then wondering what might have gone wrong. For example, this recipe calls for both baking soda and baking powder, and it’s important to add both! *Note: The oil version will be richer and will have a better texture; the oil-free version will be lower-calorie… So it depends on what you’re going for and to whom you are serving the bread. Preheat oven to 350 F. Grease a 9×5 loaf pan, and line the bottom with parchment paper. In a large mixing bowl, whisk together the first six ingredients. In a separate mixing bowl, combine all remaining ingredients. Stir well. Pour dry into wet, and stir until just evenly combined. Spread batter evenly into the loaf pan. 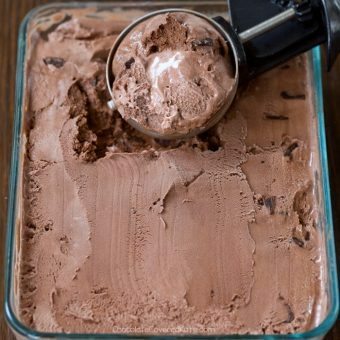 If desired, sprinkle chocolate chips over the top, and press down. Bake 45 minutes, then turn off the oven but don’t open the door! Let sit 10 additional minutes in the closed oven before removing. If your bread is still undercooked at this time, simply turn the oven back on and continue baking—checking every 5 minutes–until a toothpick inserted into the center of the bread comes out clean. Let the bread cool, and I recommend very loosely covering (or refrigerating) overnight before slicing, because the taste and texture are ten times better the next day! 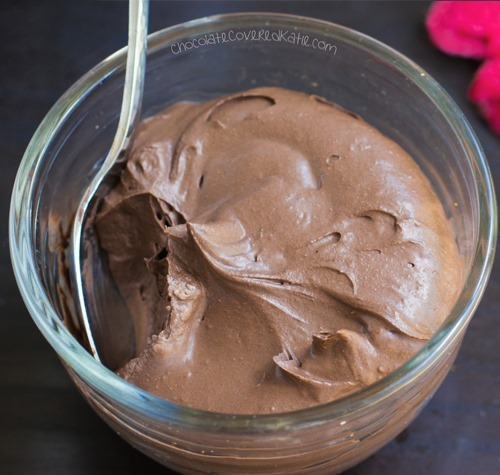 Healthy Chocolate Pudding – NO Tofu! Thank you again to HERSHEY’S Kitchens for sponsoring this post and for giving me the exciting opportunity to collaborate. If you try the banana bread, be sure to tag me @ChocolateCoveredKatie on Instagram so I can see and like your photos! Hershey’s isn’t one of them, no matter what kind of “committees” they start to “investigate.” If I had a child slave in my house but was on several child welfare panels, you would still put me in prison. I agree with Geoffrey and Berit on this, and I wish Hershey’s wasn’t involved with this recipe. I used to use this dark cocoa before learning about Hershey’s past (and current) practices. This recipe works perfectly well with ethically sourced Dutch cocoa powder. As bakers, I think it’s our ethical responsibility to pay attention to the source of our ingredients and to avoid those that cause harm. 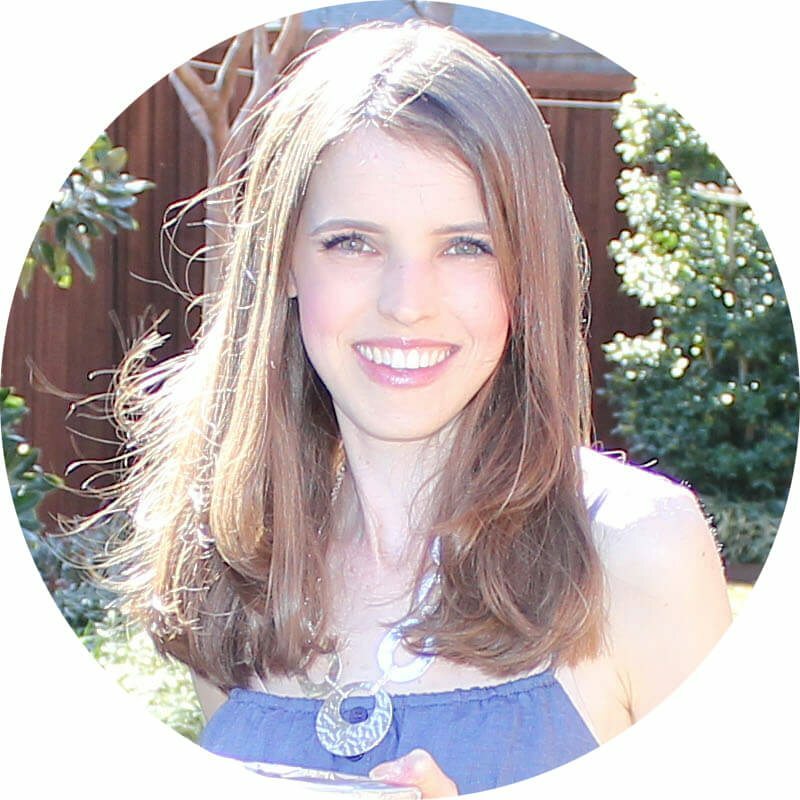 That’s why many of us give up dairy and gluten and are picky about ingredients. Cocoa should be the same. Thanks for listening! Such a yummy twist on a classic!! We usually peel ours and wrap them in cling film before freezing. I’m afraid I am not going to be much help here, as mine stick together. I don’t mind and just pull them apart. I usually line a plate with some wax paper, set the bananas on it and stick it in the freezer for an hour or so. (If I want them for smoothies I’ll chop them before I put them in the freezer.) Then, after they’ve hardened up, I’ll put them in a freezer bag. They’re cold enough at this point so they won’t stick together in the bag. Hope this helps! I never peel my bananas when I freeze them. I just put the entire banana with peel in the freezer. When it’s time to use them, I set the bananas in the oven right on the rack as the oven preheats. Once the bananas are soft, they pop right out! So much easier! I’ve never tried that cocoa powder. Do you have to order it online or a health food store or do they sell it at normal grocery stores too? Most regular grocery stores should have it! Yum! I just finished off the banana bread I made last week this morning. I could eat it everyday, it’s great for breakfast. I feel like i need this delicious chocolate version in my life though! 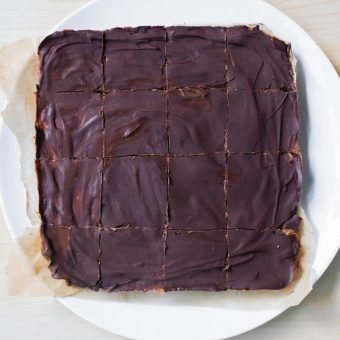 love this super chocolate-y version, nice, haven’t made anything like this in a long time, so thank you for the recipe! So delicious and meant to be. Had bananas I was deciding what to do with and your email showed up. Thanks katie!!! 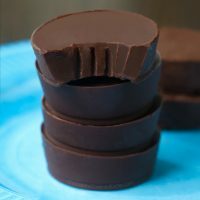 What is the reason to use Dutch processed cocoa instead of regular cocoa, and can I substitute? Delicious. We had this fo breakfast. A nice twist from my usual banana bread. Made this delicious recipe for Christmas dinner dessert. It was excellent. Had bananas in the freezer, so they were extra sweet. I used only 2 Tbl. coconut oil and cut the sugar by about 1/3 the amount called for. 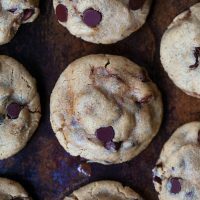 It was excellent–loved the dense, non-oily texture, and warmed slightly in the microwave the chocolate chips became downright buttery–delightful!! Will be made again, I’m sure. This was awesome. I’m not vegan so I added an egg. I changed the sweetener to 1/2 cup sugar, but no maple syrup. Very moist and tastes indulgent. Thanks! The Hershey’s pure cacao is wonderful! So inexpensive and easy to use! This banana bread is wondrous. Looks so rich and gooey! 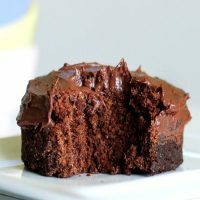 As far as the sugar goes in this recipe, could coconut sugar be used? The same amount that you listed? You’d have to experiment because you’d be replacing a liquid with a solid, which would change the amount of liquid in the recipe. Does the calorie count for this include the chocolate chips? Massive amounts of appreciation for the hard work and effort you put in to what you do. 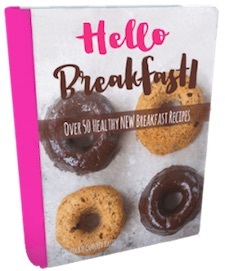 I’ve made many of your recipes….love them all. Thank you!! 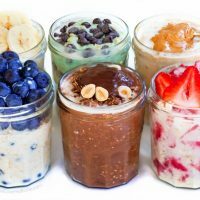 It doesn’t – optional ingredients are only included if specifically mentioned in the nutrition notes. Hope that helps! Dutch processed cocoa is dreadful stuff. Why promote it? Just made this, and it’s fantastic! I used coconut sugar (same amount), regular cocoa powder, and Katie’s gluten-free flour blend. I added 1 tsp of espresso powder to heighten the chocolate taste. I cooked for only 30 minutes, checked it (it was mostly done) and let it sit in the turned-off oven for 10 min, and it came out super moist (maybe even a little too soft in the middle, so I could have gone another 5 min). It’s an amazing bread and very easy to make. Once again, you’ve outdone yourself Katie! I just made two loaves and they are delicious!!! I would like to freeze a loaf. 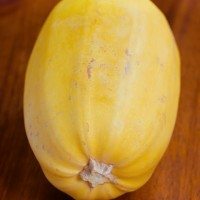 Do you have recommendations for freezing? 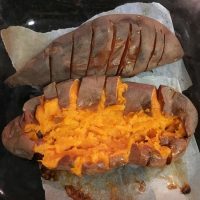 Slice and wrap in plastic wrap then foil? I’d slice, then put in a container with a sheet of parchment between layers. Katie’s only tried the ones she’s listed, but edible experiments are fun, so please feel free to experiment with almond flour, and report back if you do! I made this for my dad for his birthday. He loves chocolate, but I wanted him to make him a healthier version. 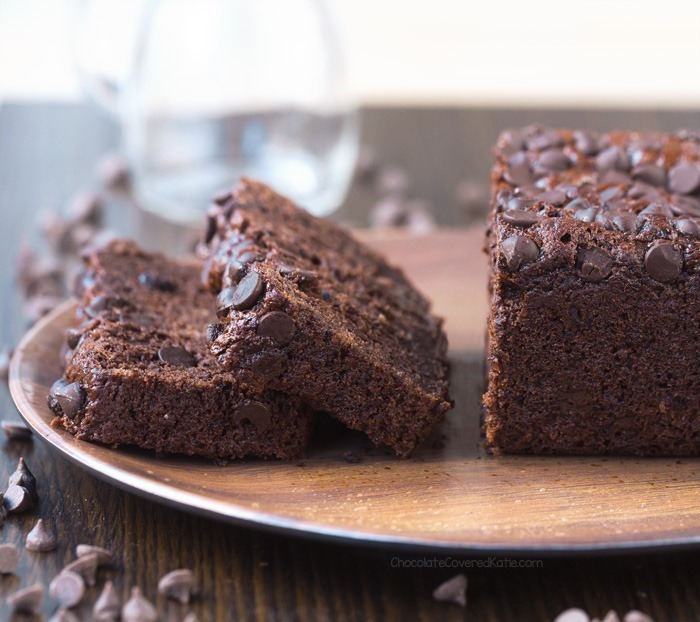 This banana bread literally tastes like chocolate cake. I didn’t add the sugar to it- it was sweet enough from the ripe bananas, maple syrup, and chocolate chips. Will make this again. So good!